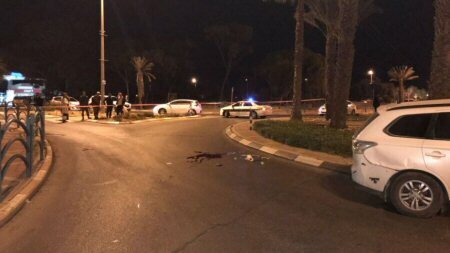 An Israeli soldier was found lying unconscious, on Thursday evening, bleeding from stab wounds, outside of a mall in the city of Arad, in the Negev desert. Attempts to revive him were unsuccessful and he was declared dead on the scene. “When we arrived to the scene a young man in his twenties was found lying unconscious without a pulse, and was not breathing, with stab wounds to his upper body,” said a spokesman of Magen David Adom emergency responders, according to Haaretz. The soldier was later identified as Ron Isaac Kokia, age 19 from Tel Aviv. The Israeli Police said it initiated a search for the suspects, who are believed to have fled the area after the stabbing. Checkpoints have been set up on Route 31 and at the city’s entrance, as Israeli authorities search for any possible suspects who might have fled the area. According to Israeli news sources, Israeli Police speculated that the murder was by a Palestinian, without any evidence. More info on the incident as it surfaces.